Alia Bhatt Gets A New BFF In Tinseltown? During an event when the media was asking more questions to Shahid Kapoor regarding his married life, Alia took Shahid's side and was ready to even slap people across the face for asking wedding related questions. Alia Bhatt and Mira Rajput seem to have bonded well and are good friends. The two share the same gym and meet up quite regularly. Mira has also called up Alia and congratulated her after the music launch of Shaandaar, Alia Bhatt was quoted as saying, "I spoke to her (Mira) that time and she comes to my gym as well so I meet her very often. But when we spoke, she expressed her appreciation for Shaandaar and I was obviously very excited." Looks like Mira Rajput has learnt the Bollywood way of life too quick and is appreciating every movie Shahid makes and his co-stars as well. Or is Alia and Mira's friendship budding up because of the fact that they both are of the same age? Shahid Kapoor, who is a decade older than the two, refers to Mira as 'Babywife' after all!. Big B Blessings Mira Rajput asking for blessing from Amittabh Bachchan. 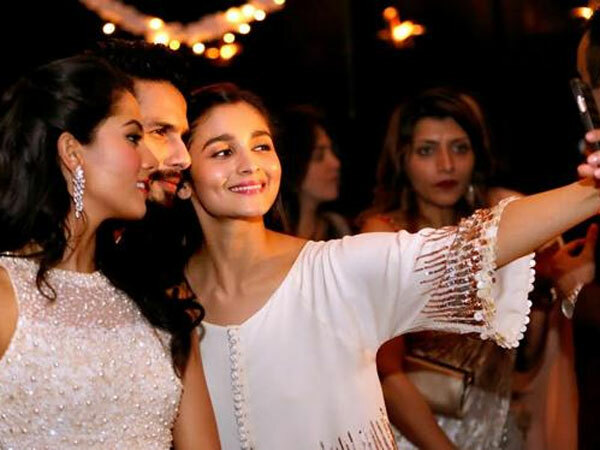 Alia Bhatt takes a selfie along with Shahid Kapoor and Mira Rajput. 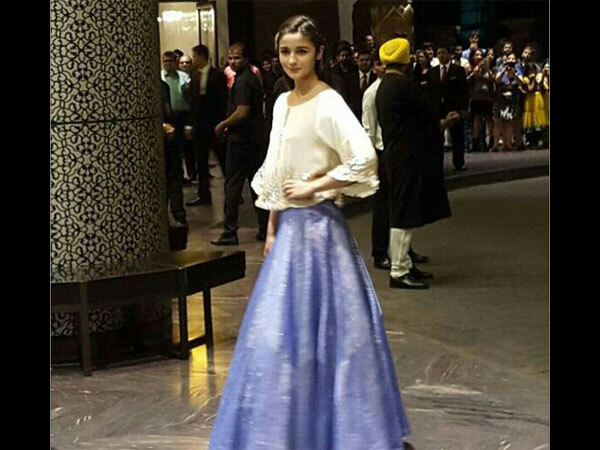 Alia Bhatt says she is ready to slap people across the face if someone asks questions about Shahid-Mira wedding. 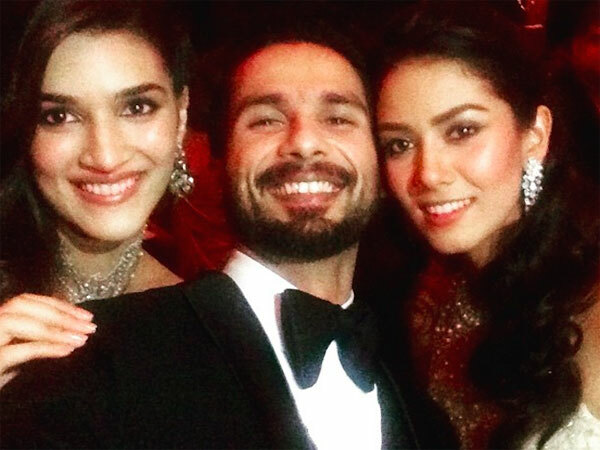 Shahid Kapoor takes a selfie along with his wife Mira Rajput and a friend. Ranveer Singh, Mira Rajput, Pankaj Kapoor and Shahid Kapoor pose for a picture. The newly wed couple Mira Rajput and Shahid Kapoor. Alia Bhatt and Shahid Kapoor starrer Shaandaar is all set to release on October 22, 2015.